Help Us support our 2018-2019 Fallen Heroes Hunt January 5th and 6th 2019. In support of our local fallen heroes. The traditions are part of the annual Fallen Heroes Hunt, which recognizes police officers and firefighters who have died in the line of duty, and each year since it began in 2016, more families who have suffered the loss join the ranks. This is a zero cost event to all . 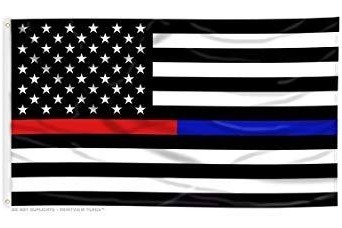 This event is to show appreciation to all our first responders and those who gave all to protect our local communities. We will be having the traditional BBQ mid-day Saturday the 5th. As usual we will be having lots of hunting giveaways on the 5th as well. This day is a family day come out have some great BBQ, Barnett Crossbows will have an Archery range set up for the kids, we will be giving things away from Crossbows to Trail cameras this is one hunting event you do not want to miss. The location will be 4 miles west of 267 on Old Federal Road Quincy. You will not be able to miss it. “Unfortunately, we are joined year after year by others who are survivors of fallen heroes. Over the years, I have met many of you, and I have come to share your thoughts and support, This event is to let us remember those who have gave all to protect our local communities. This is a zero cost event to all Firefighters and Law Enforcement Officers. We will also be having the traditional BBQ mid-day Saturday the 5th. As usual we will be having lots of hunting giveaways on the 5th as well. This day is a family day come out have some great BBQ we will have an Archery range set up for the kids and so much more this is one hunting event you do not want to miss. For further questions and details or how to become a sponsor or to donate you can simply message our facebook page. 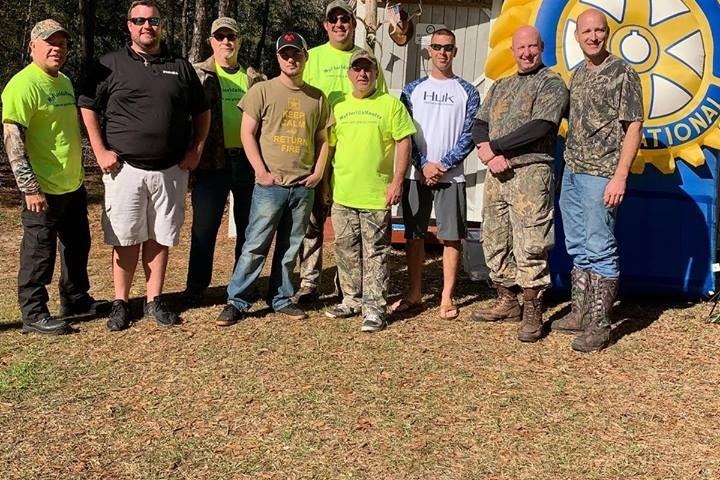 We are a 100% Non-profit Corporation (My Florida Hunter) As the years have passed we have taken on the role to provide anyone who has any special needs a quality hunt and or fishing trips. This has included disabled and terminally ill children and adults who want to hunt as well as wounded veterans. Our aim is to provide as many hunts and fishing trips as possible every year. With your donations, time and support I hope we can make our hunts and fishing trips a regular occurrence and add to the rapidly growing hunting community. Our mission at the end of the day is to put as many smiles on faces as we possibly can. If you are interested in becoming a volunteer or a partner with us to provide these hunts and fishing trips please fill out the form on our contact us page. We are always looking for volunteers and organizations who would like to donate their time and or products for these less fortunate people. Any and all contributions to our gofundme account will go directly to funding our hunts/events over the 2018/2019 hunting season and will be much appreciated. Stay up to date with all of our upcoming events by going to the events page https://myfloridahunter.com/events For further questions and details or how to become a sponsor or to donate you can simply message our page. . Keep in mind with donations we will be able to provide more hunts/fishing trips and even more fun hunting events for everyone..
As President of the non Profit My Florida Hunter I would like to thank all of our sponsors and donors. Another fantastic Heroes hunt. All funds raised will cover the cost of the event and all remaining funds will be donated Directly by myself to help Fallen first responder organizations. I take on the responsibility of this event every year. If you are interested in becoming a sponsor for our next event or a volunteer please feel free to contact me Kenny Banaciski.